Currently viewing the category: "Steinbeck’s Travels With Charley Timeline"
This was originally written for the Pittsburgh Post-Gazette on Oct. 14, 2012, when the Penguin Group’s 50th anniversary edition of John Steinbeck’s “Travels With Charley” quietly came out with a slyly amended introduction by professor Jay Parini that admitted — after half a century — that “Charley” was a work of fiction, not nonfiction. There were no puffy press releases from John Steinbeck’s publisher. No stories in The New York Times culture pages or news flashes on feisty book industry blogs such as GalleyCat. But after half a century of masquerading as a work of nonfiction, and after almost 1.5 million copies sold, John Steinbeck’s iconic road book “Travels With Charley” has quietly come clean with its readers. Penguin Group, which owns the rights to Steinbeck’s works, didn’t quite come out and call “Travels With Charley” a literary fraud, as I did first in the Post-Gazette in December 2010 and five months later in Reason magazine. But the company has been forced to admit that the beloved book about a great American writer traveling around the country in a camper with his poodle is so heavily fictionalized it should not be taken literally. Before I detail Penguin’s confession, some background is in order. For the past two years I’ve caused trouble for a lot of the “Travels With Charley” fans, scholars and publishers who live on Steinbeck World. It started innocently. In the fall 2010, as part of a book project to show how much America has changed in the past 50 years, I wanted to retrace faithfully Steinbeck’s 10,000-mile road trip. The Post-Gazette granted me a blog, “Travels Without Charley,” to chronicle the journey, and published a series of my pieces in the Sunday Magazine. 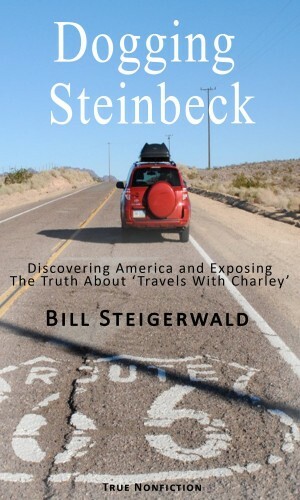 As I revealed in my Dec. 5, 2010, PG article “The Fabulism of ‘Travels With Charley,’ ” there were major discrepancies between Steinbeck’s actual road trip and what he wrote in the book. Though it had always been marketed, sold, reviewed and taught as the true account of Steinbeck’s circumnavigation of the USA in the fall of 1960, “Charley” was not very true or accurate or honest at all. It was not nonfiction. It was mostly fiction — plus a few lies and deliberate distortions thrown in by Steinbeck and his sly editors at the Viking Press to create the myth that he traveled alone, roughed it and spent a lot of time studying and thinking about America and its people. It took a while for my charges against Steinbeck to escape the gravitational field of Pittsburgh. But in April 2011, five months after my article for the PG, The New York Times “discovered” me and made my accusations globally famous — for the usual 15 minutes. Most of my fellow journalists praised me for my discovery. But I was cursed by Steinbeck groupies around the world for spoiling their fun with my fierce fetish for facts. It was hard to persuade them I didn’t hate Steinbeck or “Charley,” which, despite its lapses in the truth department, flashes with his great nature writing, wisdom and humor. And some college English professors who believe the use of creative fictional techniques in nonfiction is a good and common thing dismissed me for wasting so much energy proving what they claimed was irrelevant or always obvious. Penguin’s recent admission of the fictional genetic makeup of “Charley” was subtle — so subtle no one noticed it but professional-Steinbeck-watchdog me. It had been quietly slipped into the introduction of a new edition of “Charley,” which was released on Oct. 2 to co-celebrate the book’s 50th birthday and the 50th anniversary of Steinbeck’s Nobel Prize for Literature. The lengthy introduction was first written for a 1997 paperback edition by esteemed Middlebury College English professor, author and Steinbeck biographer Jay Parini. In his original introduction, Mr. Parini had pointed out Steinbeck’s heavy use of fictional elements, especially dialogue. Otherwise he treated “Charley” just as 2.5 generations of Steinbeck scholars had always treated it — as if it was the true and honest account of the author’s road trip and what he thought about America and Americans. Naturally I was pleased to see that the truth had come out because of my efforts. Naturally I was not pleased to see that my name was not mentioned. I sent a sarcastic email to Mr. Parini for making a mistake no rookie journalist would have made. Ignoring my serial insults, Mr. Parini took the classy, professorial road. He apologized profusely, near abjectly. I forgave him, though I really don’t know why. It took half a century, and it cost me a lot of time and work and money, but at least the truth had triumphed. At least from now on anyone who buys a new copy of “Travels With Charley” will not be fooled. 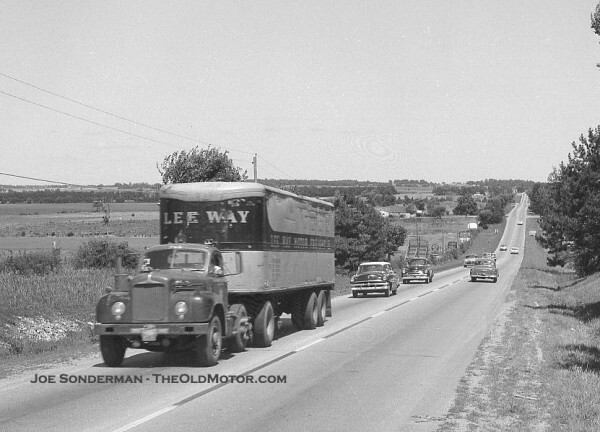 America’s two-lane highways in the 1950s were unsafe and slow. The roads on the Old Steinbeck Highway – U.S. Routes 5, 2, 1, 11, 20, 12, 10, 101 and 66 – were the two-lane interstates of their day. They were what tourists followed, trucks ran on and the early commerce of travel clung to. The highways cut straight through the downtown hearts of cities like Rochester and Buffalo and became the main streets of small towns from Calais to Amarillo. 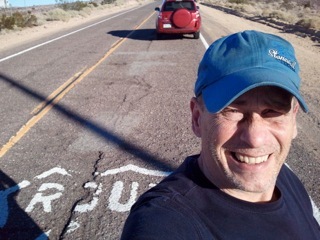 Except maybe in the boondocks and deserts, in 1960 there was nothing lonely or quiet or safe about the Blue Highways. They were often worn, bumpy, high-traffic death traps – narrow, shoulder-free, poorly painted and lighted. And they didn’t have 24-hour rest stops every 13 miles where you knew you could fill up on gas, coffee and humanity when you ran low. Today the Blue Highways are much safer and smoother because most of their traffic has shifted to the interstates. Back home in Pittsburgh on my pit stop, I waited for Steinbeck to get to Chicago. I had retraced the New England leg of his trip in 10 days. That was almost exactly how long it took him. I saw part of the country that on average was whiter, less obese, more Democrat, richer and more likely to be employed than the rest of America was in the fall of 2010. I had already learned some generalities about America and Americans, at least the America and Americans along the Old Steinbeck Highway. Those were my early drive-by impressions of the USA, but I could have written them at any time on my trip. What was true of the Eastern Time Zone would be true for the rest of the country. So far, I had driven virtually the exact highways Steinbeck did. But even with the help of dates and locations provided by his letters from the road, I often couldn’t sort out what he actually did from the account he gave us in “Charley.” Much of his New England trip remained a mystery. We know he drove fast and furiously. We know he never really camped on a farm in the White Mountains. We’ll never know if he really stayed at an over-sanitized motel in Bangor, really entertained a family of Canuck potato pickers in Aroostook County or really had a run in with American border guards in Niagara Falls. We have only his nonfiction book to rely on and it was unreliable, to say the least. The more I learned about Steinbeck’s journey, the more obvious it was becoming that nothing in it could be believed. 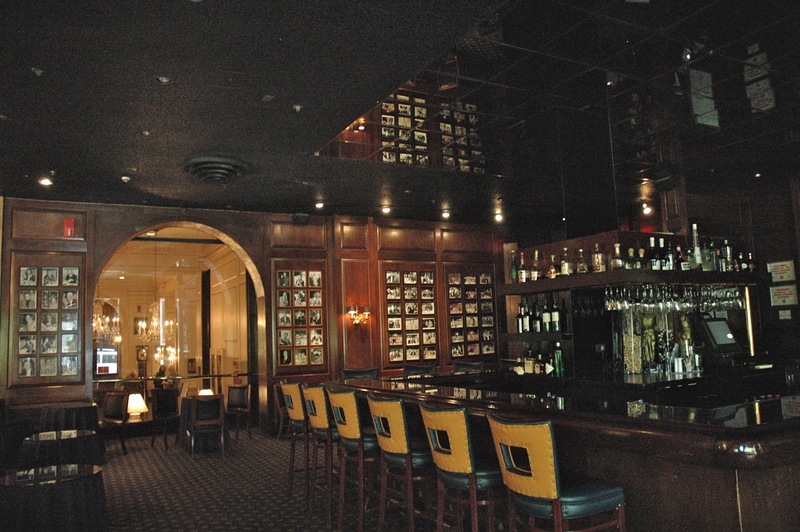 The Ambassador East Hotel’s famed Pump Room was done up in dark wood and leather and plastered to the ceiling with glossy photos of the celebrities who stayed there. Steinbeck traveled fast from Buffalo to Chicago, a distance of about 550 miles. 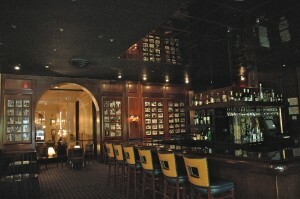 He left Buffalo on Monday morning and arrived at Chicago’s famous Ambassador East Hotel sometime Tuesday or Wednesday. His wife Elaine jetted out from New York. Steinbeck describes this leg of his road trip in “Charley,” but given his haste to see his wife, his account is not plausible. He writes that he camped Monday night on private land by a lake along U.S. 20 in northern Ohio or southern Michigan and went fishing the next morning with the young man who had let him stay there. He writes that at noon (on what would have been Tuesday, Oct. 4), “growing increasingly anxious” to meet Elaine, he climbed on the Indiana Toll Road and drove almost all night, arriving at the Ambassador East early the next morning before his room was ready. 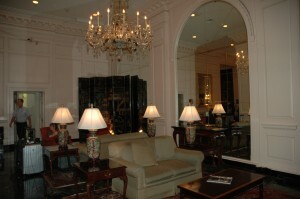 The lobby of the Ambassador East, as it looked in October 2010. In my quixotic travels with Charley about America I paused five times, in Chicago, in Seattle, in California and twice in Texas. Then I saw and felt beloved people who knew me as I knew them. It would be quite easy to recount every moment of these steps but it would be out of drawing with the rest. A book has to be one thing, just as a poem does – or a chair or a table. Steinbeck and Adlai Stevenson were more than contemporaries and pen pals. They had several interests in common – liberal/New Deal politics, agriculture, dogs and the legend of King Arthur and the Round Table. Politically, Steinbeck was a Stevenson Man, 110 percent. He helped the former Illinois governor during the 1950s with some speeches and desperately wanted him to become the president in ’52 and ’56 and to win the Democrat nomination again in 1960. He was still pulling for Stevenson long after it was clear that his days as the Democrats’ standard-bearer were over. 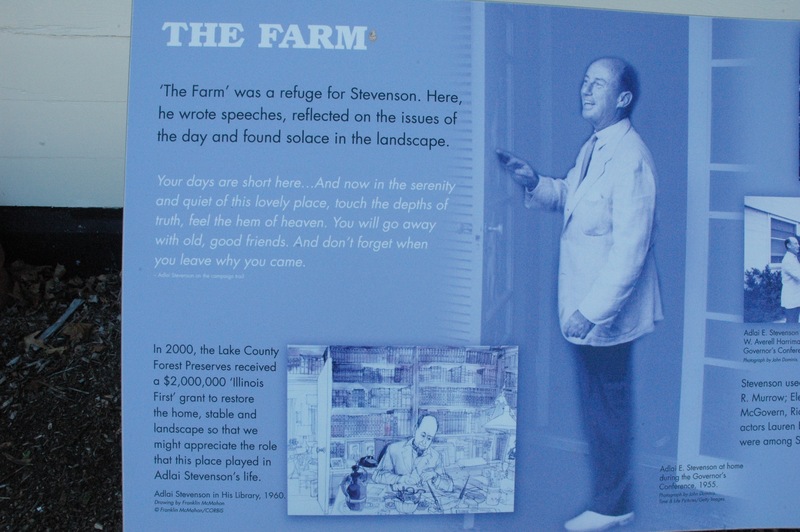 Adlai Stevenson, former Illinois governor and Democratic presidential candidate in 1952 and 1956, was Steinbeck’s political hero, friend and pen pal. 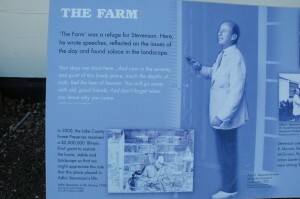 Stevenson lived on a 70 acre farm outside Chicago in Libertyville. Steinbeck and his wife Elaine spent a night their during his layover in Chicago. Stevenson’s white, squared-off house at “The Farm” was simple, practical and smartly designed, with airy rooms, huge windows, a wild Art Deco bathroom and a long back deck looking out at the lawn and blazing oak trees that stretched to the Des Plaines River. 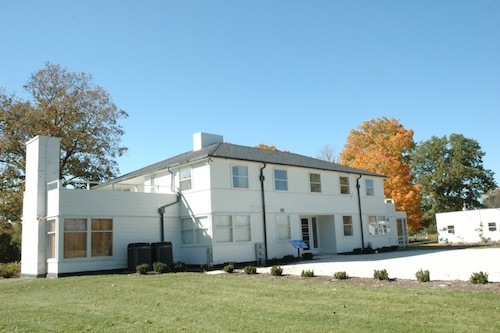 The house (owned by the Lake County Forest Preserve), had been restored for tours in 2008 and was used for meetings but still needed several rooms of furniture. Only Stevenson’s study – the most important room in the house, said my guide Nicole Stocker – was completely furnished. It had his old desk, his books and his address book – which happened to be opened to “S.” Steinbeck’s name and Sag Harbor phone number were there. 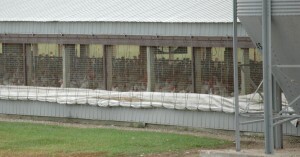 In 1960 Stevenson’s place was still a working farm. He grew corn and soybeans, and had horses, sheep and a pack of Dalmatians, all named after characters from King Arthur’s Court. He, like Steinbeck, lived relatively frugally for a wealthy man, but Nicole said a housekeeper and a caretaker were on the premises. One of Stevenson’s near neighbors was Marshall Field, who owned a little department store in Chicago. Many historic figures of the era came to talk politics with Adlai in his ample living room – from Senator Robert “Mr. Republican” Taft of Ohio to a young, ambitious rogue with the initials JFK. Nicole said the three Steinbecks probably slept in the guest suite, where Eleanor Roosevelt would crash whenever she dropped by. Steinbeck says nothing in “Travels With Charley” or his road letters about his visit to Stevenson’s farm, which is 35 miles north of downtown Chicago. Biographer Jackson Benson mentions Steinbeck’s visit in “John Steinbeck, Writer.” And a Steinbeck letter to Stevenson that I read at Princeton alludes to their walk together in Stevenson’s “blazing” woods in the fall of 1960. Exactly when the Steinbeck family stayed in Libertyville is not known and doesn’t matter. As his wife Elaine flies back to New York, John Steinbeck and Charley set out from Chicago in Rocinante, bound for Seattle by way of Minneapolis, Fargo, Missoula and Spokane. He drives about 220 miles north and sleeps Monday night in his camper at a truck stop on busy U.S. Highway 12 in Mauston, Wisconsin, a town of about 2,100. 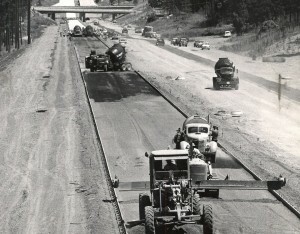 U.S. 12 carried all the truck traffic from Minneapolis to Chicago in 1960. Bob Rose, a retired truck driver, and his wife Dona lived in Mauston in 1960. They said it was almost certain that Steinbeck stopped at Ernie’s Truck Stop and coffee shop, a mile south of town. Ernie’s is now the site of the offices and parking lots of Brenner Tank Services. Day 1 of Steinbeck’s trip was Sept. 23, 1960. Somewhere in Upstate New York, 2010. On his way to Chicago, John Steinbeck describes using interstates for the first time on his trip, or possibly his life. Sounding like an old lady stuck in the Indianapolis 500, he was tortured by the speed and flow of the intense truck traffic on “this wide, eventless way called U.S. 90,” aka the New York Thruway, which he took from Buffalo to where it ended at Madison, Ohio. The Interstate Highway System was only about 16 percent finished in 1960. Steinbeck preferred two-lane highways to interstates. He said he missed being able to stop at fruit stands or local diners. 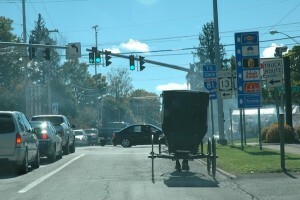 He didn’t mention the small towns, traffic lights, deadly intersections, stop signs, blind turns, business districts, schools, farm tractors, stray dogs and 1,001 other hazards to life and obstacles to efficient car travel. Interstates eliminated 99 percent of them. Steinbeck didn’t realize it, but statistically he was much safer dueling with “trucks as long as freighters” on those four-lane “gashes of concrete and tar” than he had been when he was touring the two-lane roads of New England. But he understood that the quickest way to his wife’s embrace in Chicago was via the Indiana Toll Road, which he was happy to use. Steinbeck and Charley leave Mauston, Wisconsin, and drive northwest to Minnesota. 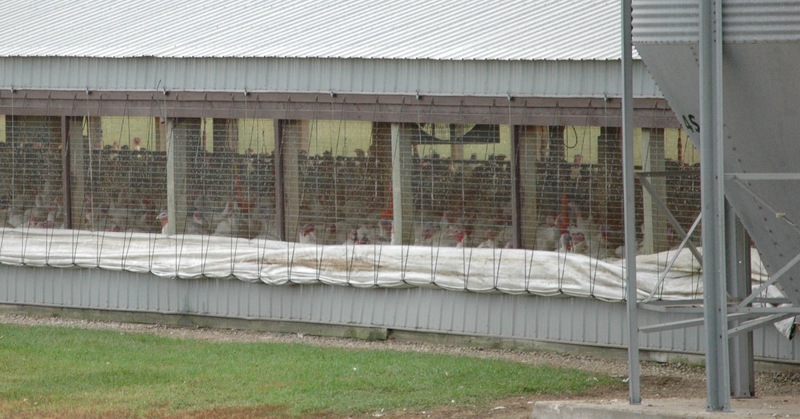 They crawl slowly through the traffic of Minneapolis-St. Paul, cross the Mississippi River and pass through Sinclair Lewis’ hometown of Sauk Centre, Minnesota. After about 430 miles, they stop for the night and sleep in Rocinante at a truck stop Steinbeck says was “not far” from Detroit Lakes, Minnesota. 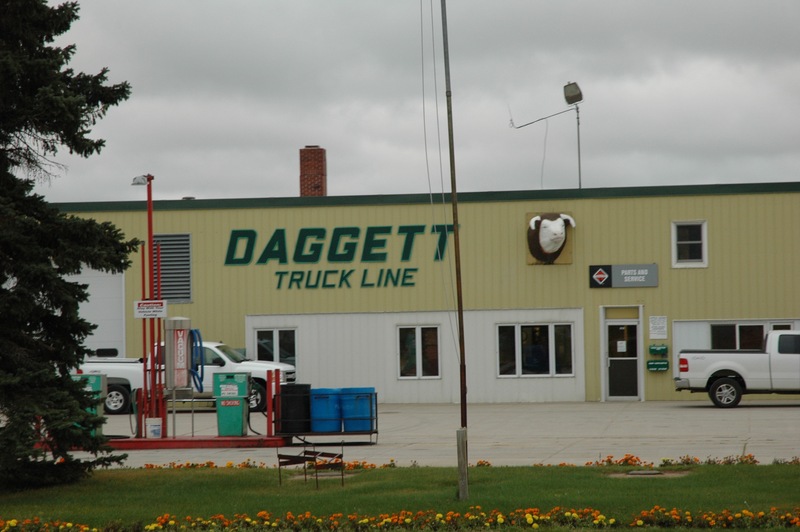 In 1960 that truck stop was the home base of Daggett Truck Line in Frazee, Minn., and it still is. For his book Steinbeck combined his sleepovers at the truck stops in Mauston and Frazee into one night. Day 1 of Steinbeck’s trip was Sept. 23, 1960. 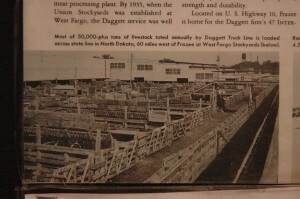 Daggett Truck Line in Frazee, Minn., circa 1960. 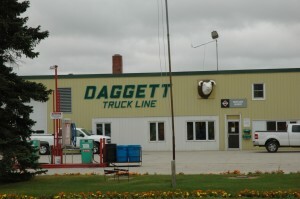 Daggett Truck Line in 2010. Daggett Truck Line no longer handles cattle, but did then. The Westgate Motel in Beach, N.D., where Steinbeck had a bath. 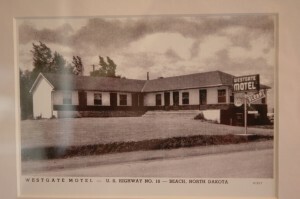 Sticking to U.S. Highway 10, Steinbeck moves almost straight west from Frazee, Minnesota, through Fargo and Bismarck to Beach, North Dakota, a small agricultural town near the Montana border. He drives about 425 miles. In Beach before dark he checks into a small motel, the Westgate, and has a bath and writes his wife Elaine a letter. In “Travels With Charley” he describes stopping near Alice, N.D., about an hour west of Fargo, where he met an itinerant Shakespearean actor and slept overnight under the stars in his camper by the Maple River. It was a fictional encounter and camp out, since that night he was actually 312 miles west in Beach. Day 1 of Steinbeck’s trip was Sept. 23, 1960. The cornfields near little Alice, N.D., where Steinbeck said he camped overnight by a river on Oct. 12, 1960, but didn’t. It was total fiction. On Thursday night, Oct. 13 – Day 4 of his Chicago-Seattle sprint – he was actually already 400 miles west of Beach and the Badlands. He was in Livingston, Montana, watching the third Nixon-Kennedy TV debate at a trailer court. Because he was moving so quickly from Chicago to Seattle, Steinbeck was forced to make up two overnight camping adventures in North Dakota and stick them in between his actual stays in Frazee and Beach. Steinbeck’s two flights of “creative nonfiction” under the stars in North Dakota are important, but not just because they are such bald-faced fabrications. Along with his non-meeting with the Yankee farmer in New Hampshire, they are the scenes in the book that created the myth that he was traveling slowly, camping out and roughing it alone in the American outback.